Klein Technique™ is a process through which the body is analyzed and understood to improve and to further movement potential. It is intellectual in that it uses anatomical realities. It is corporeal in that we strive for an internal knowing, an understanding which is integrated into the body. It is a movement education and re-education, that can be an underpinning for all movement styles, improvisations, athletics, and for the general health of the body in everyday movement. It is a technique that honors the individual. Klein Technique™ works at the level of the bones, to align the bones using the muscles of deep postural support: the psoas, the hamstrings, the external rotators, and the pelvic floor. We work for the body to become elastic, responsive, and open to choices and expression. Although Klein Technique™ was developed by a dancer for dancers, it is a technique that works for everybody, from the virtuosic dancer to the non-dancer. When the bones are aligned we become connected, we become powerful and we become strong. The body becomes efficient and alive, and injuries often heal. Stephanie Miracle is an American born independent choreographer and dance artist currently based in Germany and the West Coast of the USA. She holds a MFA in Dance 2014 from the University of Maryland and a BA in Dance from Belhaven University 2004. She began studying with Susan Klein in 2006 and became a certified teacher of Klein Technique™ in 2017. A 2014/15 German Fulbright Fellow in the Performing Arts, Stephanie has focused her research on the embodied practice of tanztheater. 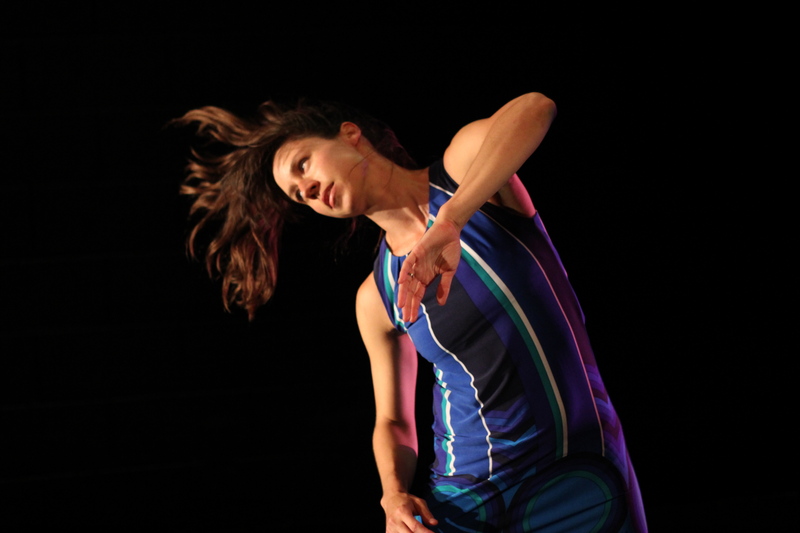 Examples of her field work include intensively studied Jooss-Leeder technique, learned repertory from Pina Bausch with the Tanztheater Wuppertal, studied Inner Suspension with Susanne Linke, and worked on a new creation with Reinhild Hoffmann. Her research is searching for intersections between Klein Technique™ and European tanztheater specifically in dynamic use of space and expression through the body. As a performer she has had the privilege of dancing for Deganit Shemy, Elizabeth Dishman, Shannon Gillen & Guests, David Dorfman Dance, Joseph Poulson, Susan Marshall and Company, Liz Lerman Dance Exchange, Graham Brown, PEARSONWIDRIG DANCETHEATER, and Deborah Hay. In 2015 she joined as a full-time company member with the Folkwang Tanzstudio/FTS. In addition to dancing with the ensemble she works in collaboration with Carla Jordao (PT), Ana Farfan (MX), Paola Ponti, (IT) and Anna Shchkleina (RU). Stephanie’s choreography has been described as “iconic and nuanced…with an irreverence that makes you smile unconsciously” (Rick Westerkamp review of GROOVE,2014). Often in vivid Technicolor, Miracle’s works are crafted with a cinematic sensibility. In addition to creating choreographies for traditional proscenium theaters her unique aesthetic finds special significance in common spaces for example, parking lots, bus stops, woman’s prisons, hallways, staircases, and rooftops. Her projects have been presented in Germany, Mexico, Russia, New York City, and Washington DC by various institutions including MetLife Foundation, Exchange Festival, Dance Place, Supernoval Festival, Open Look Festival, Performatica, Belhaven University, ES WIRD SOGAR SCHÖN, Barnes Crossing, The Clarice Smith Performing Arts Center.Other awards include the Smith Scholarship Grant to attend ImPulsTanz in 2012, dance artist-in-residence at OMI International Residency 2012, DC Innovation grant in 2013, Bates Dance Festival Merit Scholarship 2013, Goldhaber Travel Scholarship 2014, and NextNOW new work grant 2014. Her collaborative piece “Drafting Plan” was awarded Best Duo at Barnes Crossing Festival 2015 in Cologne and at the 2016 SzoloDuo Festival in Budapest. In 2017 she was support by the US Consulate in Yekaterinburg, Russia for the creation of Paper Piece with Anna Shchekleina.